I love Final Fantasy XV on PS4. I love it enough to have played it for almost 200 hours. I’ve watched Kingsglaive and the Brotherhood anime, played A King’s Tale, a little bit of King’s Knight and having also played the Episode Gladiolus and Prompto DLC, I’m eagerly waiting for the Episode DLC based around my favourite XV character Ignis. When they first announced the Final Fantasy XV Universe, I was ecstatic. I was in the group who loved the characters and the story of XV and was excited to get more background into some of the main group. That was until the universe kept expanding. 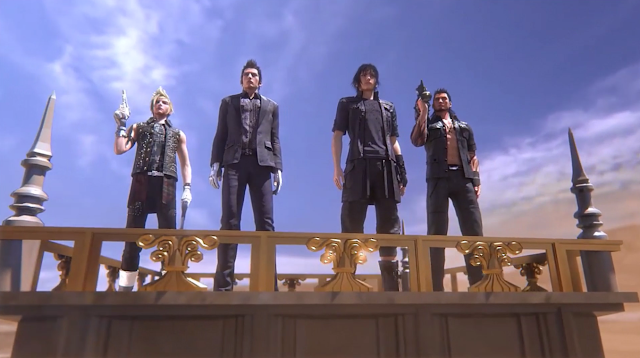 Final Fantasy XV began as a universe from its Uncovered release date announcement event. The (intended) release date was announced, along with the anime, movie, a demo with content separate from the main story and a mobile game. The Final Fantasy XV Universe started off nothing short of beefy and gave enough to satisfy the fans who needed something to hold them off until what ended up being it’s November release while also giving things to look forward to further down the line. Nobody asked for a movie or an anime, but they ended up being good additions as they added to the universe’s story, which is important since I would guess that a large portion of Final Fantasy XV’s universe were playing it for that Final Fantasy-style story that many know and love. There was an outlier in this event though and it was in the form of Justice Monsters Five, which was a Pinball mini-game that ended being featured in restaurants in the console version Final Fantasy XV. In hindsight, this was probably the start of the power of Final Fantasy XV as a name being used for promo and profit, as it didn't add much to the console game itself other than a potential ‘wow, I played it on my phone and now it's on my TV’ feeling. I haven’t played much of Justice Monsters Five other than the five seconds I had to for a trophy, so I don't have much to say about it, but it's not alone in being a retro-inspired game used for a bit of promo. A King’s Tale was a free PS4 title I enjoyed and gave an insight into King Regis’ younger years which I thought was ultimately good for the universe in the end. On the other end is King’s Knight: Wrath of the Dark Dragon, a game that the characters of Final Fantasy XV went on about being fun in the game but is a remake of an older game, thus not adding anything to the Final Fantasy XV Universe. It’s with Final Fantasy XV Uncovered that two different side of Final Fantasy XV’s Universe seemed to emerge. The side that enriches the universe by building on its world of Eos, where titles like the Brotherhood anime and Kingsglaive sit. Then there’s the other side that adds new gameplay (which I’m not against) but without new story, and throws in elements such as gachas and in-game currency that make money. I understand the Final Fantasy name is a profitable one and XV was a very hyped up title, but when you’re going to use its name and call it apart of a universe, I think it needs to bring something to the universe itself. Some Universe additions do bring things to the Universe and they’ve been my favourite parts of it. Since A King’s Tale, there’s been Episode Gladiolus and Episode Prompto, and both were a great step in the right direction for adding new gameplay and story elements. 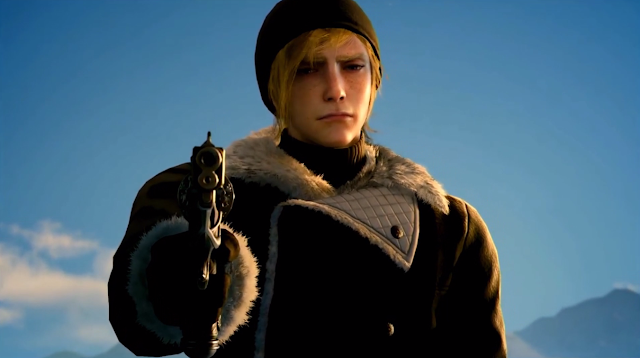 I gave both favourable reviews, particularly Episode Prompto as I really felt I learnt a lot about him and the lore hidden in his DLC really grew that side of the Universe. Episode Gladiolus’ interactions with Cor also gave insight into the world of Final Fantasy XV at a different time, which was again valuable for the series and I’m sure Episode Ignis will continue this trend. The Episodes are my favourite part of Final Fantasy XV’s Universe, but I remember feeling frustration when the quality Episode Prompto was released a few days before infamous Final Fantasy: A New Empire came out and there were more eyes on the controversial latter title than Episode Prompto, which was actually good. Final Fantasy: A New Empire is on that other side of Final Fantasy XV’s universe, with its in-game currency and its balance mechanism that tends to favour those who pay-to-play making it highly controversial. I haven’t played it, but I’ve heard enough horror stories and Ponzi scheme comparisons to make me stay far away, other than its trailers feeling out of place when compared to the console game. 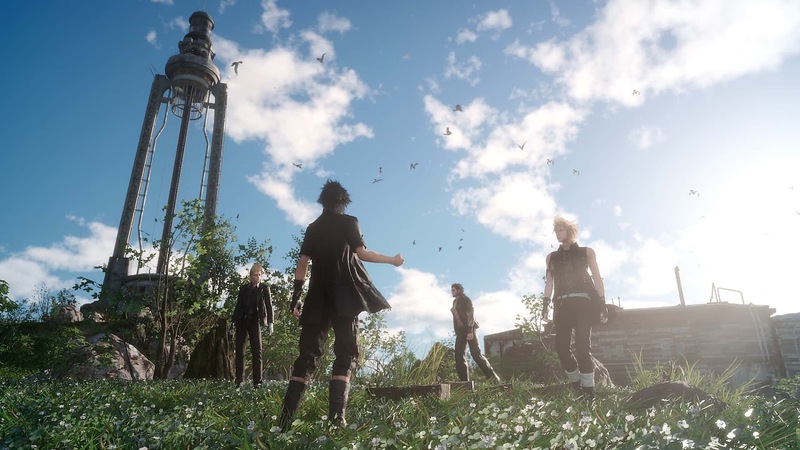 For these reasons, it was the first piece of Final Fantasy XV’s Universe I decided to leave alone, which as someone who had ideas to cover and review every piece of it initially out of love for its main game was a little saddening. I loved Final Fantasy XV for its world and seeing these titles that just use its name really doesn’t interest me. Even since the unfortunate New Empire debacle, the universe has somehow kept expanding. E3 2017 saw the announcement of Monster of the Deep: Final Fantasy XV, a fishing VR title that could at least add a couple of random party banter moments. There’s also just been the beta of Final Fantasy XV: Comrades, a multiplayer expansion to Final Fantasy XV that promises Quests that could expand the world at least a little. These titles are still pretty low on information to put on either side of the universe, although in the case of Monster of the Deep, I’d be surprised if there was any truly significant story. Then there are the most recent expansions are Final Fantasy XV Windows Edition and Final Fantasy XV Pocket Edition. I like that there is focus on making Final Fantasy XV available to more people and the visually-stunning PC version looks fantastic and will satisfy the fan demand of those who have been hoping for a PC port. The Pocket Edition of Final Fantasy XV is a bit out of left field though. I’m not sure anyone was really hoping for a version of Final Fantasy XV for smartphones, especially one with deformed character models that fall somewhere between cute and weird. In saying that, although it doesn’t add a lot to the universe, if the gameplay is done well enough I think it could be good for future Final Fantasy titles, giving an option to those who play games on the go or don’t have a home console isn’t a bad thing if done right and I hope they treat the main game in this form with the appropriate care. This new mobile title leaves things in an interesting place. I’m starting to lose count of how many things are in the Final Fantasy XV Universe and it has certainly evolved. When it started, the universe was mostly about expanding on the game’s story, whether it was telling a new story in the case of the anime and special demo, or showing a piece of the world in Justice Monsters Five. Fast forward to now and the universe still continues that spirit with the quality character Episode DLCs that expand on moments of time in XV’s story, but these Episodes are also alongside re-releases that only tell the story and don’t expand, and in-game currency-filled mobile games that use the name and give nothing back. The rich story-filled Universe of Final Fantasy XV that I saw in Uncovered is becoming murky and I think it’s time to stop expanding, at the very least with experiences that don’t build the universe. 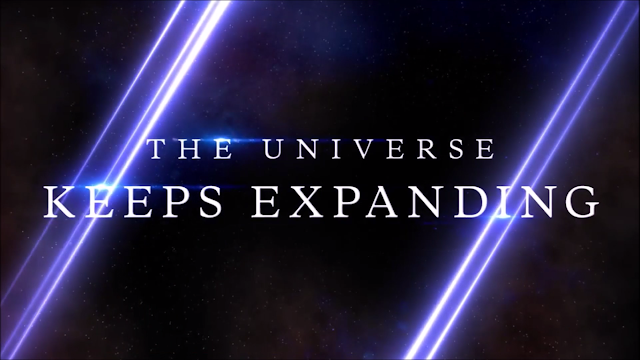 While I'd probably accept more story episodes happily, any new games or attempted solutions at what went wrong in the universe would only muddy the original title and story of the universe even more. Final Fantasy XV is a great game on its own and it's strange to have such a variation of content associated with it. Experiences like A King’s Tale, the character episodes and the anime all had something to bring to the table to Eos, making them feel like valuable additions and making the universe feel rich and interesting. The problem with the Final Fantasy XV Universe is the other group of experiences, experiences that may try new things in gameplay and tech, but otherwise add nothing to the actual world of Final Fantasy XV, except for watering down its main title. 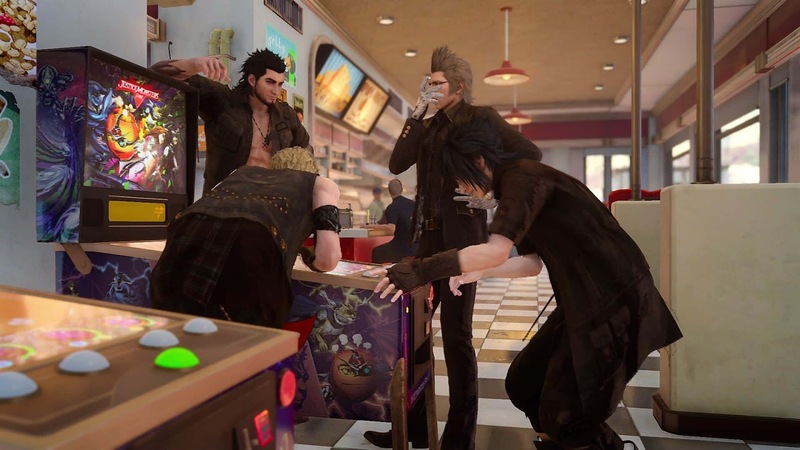 I understand that using an IP with characters and fans is cheaper and a quick way to attract people to your game, but I love Final Fantasy XV’s original console title still and feel sad to see its rich universe become much more of a mixed carnival bag than a quality story world. 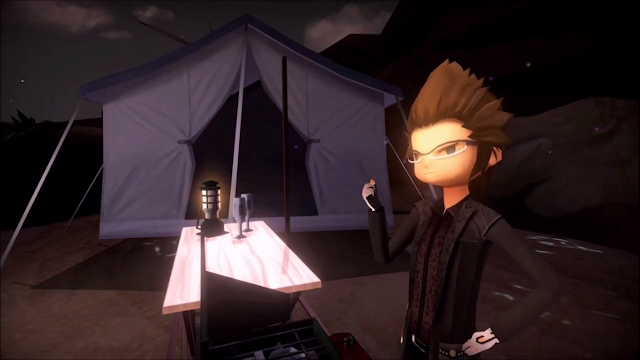 I'll probably play the cute pixel Final Fantasy XV: Pocket Edition as I like the idea of this for future Final Fantasy games for people don't have the money for a console, but that, the online expansion and Episode Ignis are the only things I’m fully interested in that are coming out. It's coming up to the year anniversary of Final Fantasy XV’s console release, but with so much being shamelessly pumped into its world, it's a wonder if people will remember it for the way it came out then or for what it has become. What do you think of the Final Fantasy Universe in its current form? Are you interested in its various upcoming additions?